Bill Gadsby broke into the NHL in 1946 with the Chicago Black Hawks as an 18 year old defenseman in 1946 after just 12 games in the minors. 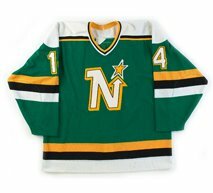 He was welcomed to the NHL with a cut that required 12 stitches in his first game, but went on to score 8 goals and 18 point that first season. 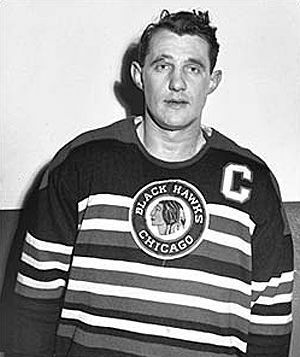 He was a regular on Chicago's blueline for the next eight seasons, including being named team Captain in 1952, the first season the Black Hawks qualified for the playoffs during Gadsby's time in Chicago. Early in the 1954 season, Gadsby was dealt to the New York Rangers as part of a five player deal. Gadsby would rarely miss a game while with the Rangers, never playing less than 65 games (of a 70 game schedule) in six seasons in New York. Playing with the Rangers was good for Gadsby's style of play, as his point totals increased from a high of 41 in Chicago (his only season there over 35) to having five of six seasons in New York with 35 or more, including a career high of 51 twice, first in 1955-56, which placed him ninth in league scoring, and 1958-59, which included a league record 46 assists for a defenseman. 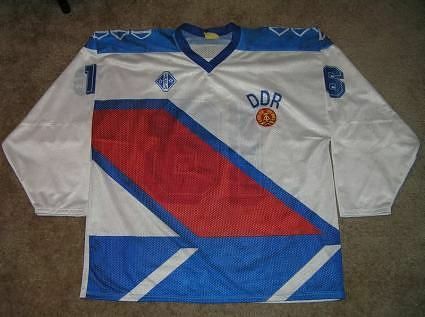 He also set a career high of 14 goals in 1957-58 while with the Rangers. 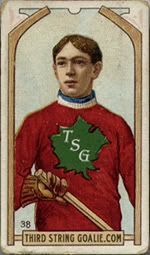 Playoff success continued to elude Gadsby however, as the Rangers only made the playoff three times in seven chances, a trio of first round exits. 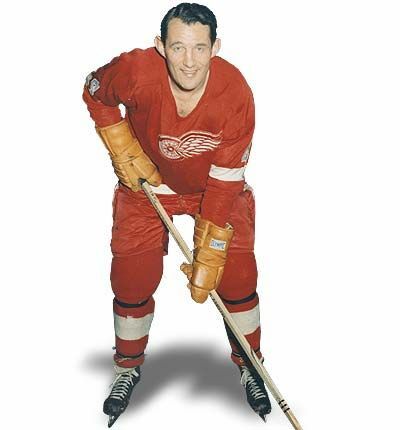 In 1960 Gadsby was traded to the Detroit Red Wings and continued his dependable play, including two of his seven seasons in which he played every game of the season. Early in his second season in Detroit, Gadsby became the first defenseman in NHL history to reach 500 career points, which he did on this date in 1962 in a 3-1 Red Wings win over Chicago. Later that year, in his 17th season in the NHL, Gadsby would finally reach the Stanley Cup Finals for the first time. Detroit would return to the finals again the following season, only to fall to the Toronto Maple Leafs both times. Two seasons later Gadsby would play his final NHL season, capped off by his third trip to the finals. 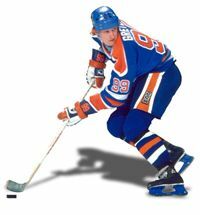 His career would conclude with 130 goals and 438 assists for 568 points which still ranks 40th all time among defensive scoring despite the massive changes in the game after the arrival of Bobby Orr. In addition to his impressive point totals for his day, he also received as many as 600 stitches to his face, but didn't mind too much, as he had an insurance policy which paid him $5 for every stitch! Gadsby was inducted into the Hockey Hall of Fame in 1970. 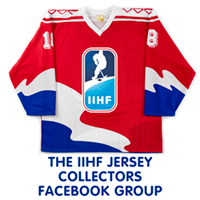 Today's featured jersey is a 1953 NHL All-Star Bill Gadsby jersey. 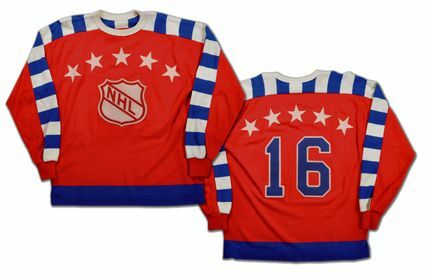 This style of jersey was used from 1947 to 1954 and was worn by Gadsby in the first two of his eight All-Star Game appearances in 1953 and 1954.